﻿I got an iPad about a month ago, for the proposes of displaying my baking projects to people. It has since been filled with cooking and baking apps, photo editing software, Netflix and a game or two (or twenty). One of the apps I purchased was the Martha Stewart Cookies app, which I love. 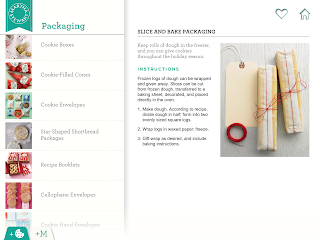 From the super cute start up, to the pages of recipes, it's great. 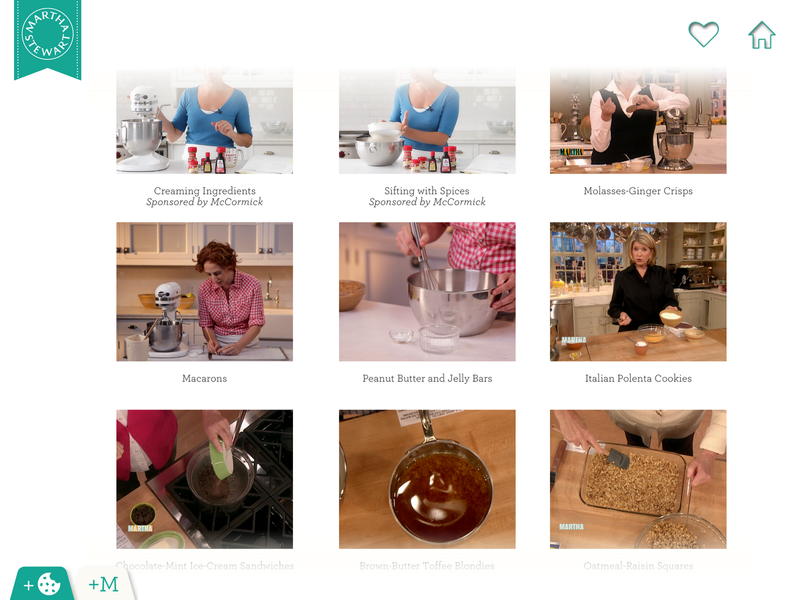 ﻿The recipes are neatly and concisely laid out with steps and ingredients. 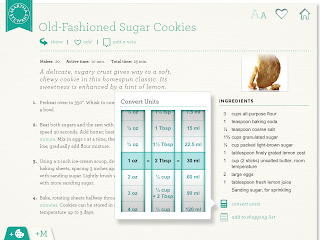 You can add recipes to a favourites list and add notes, create a shopping list. 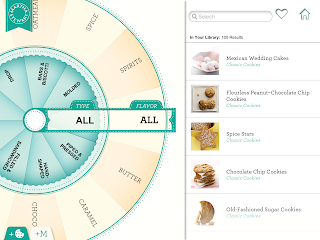 There's even a unit conversion calculator on each recipe page! 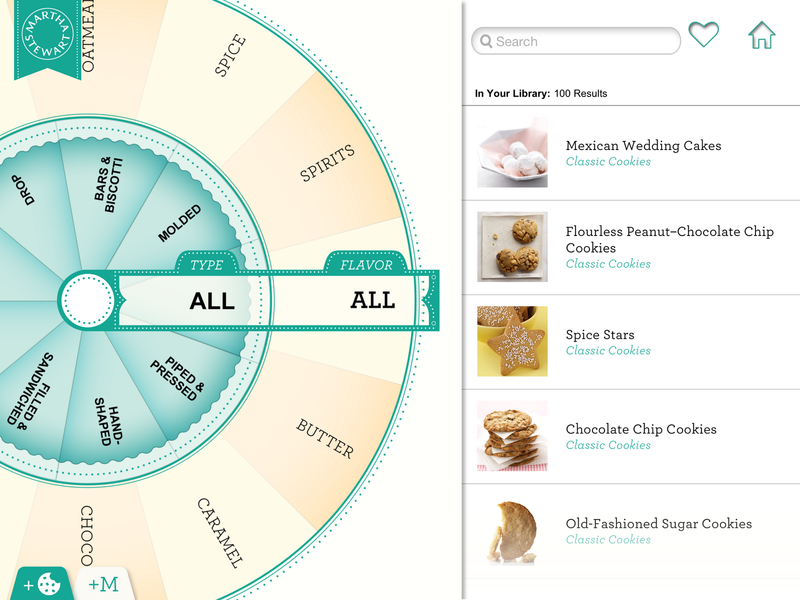 ﻿The app has a search function (in a drop down menu when you tap the Martha Stewart ribbon in the top left hand corner of the screen), laid out in wheel form so you can choose from cookie ingredients or type. There is also a keyword search. 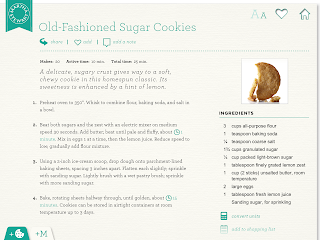 Of course, this being a Martha Stewart app it doesn't just cover the recipes. 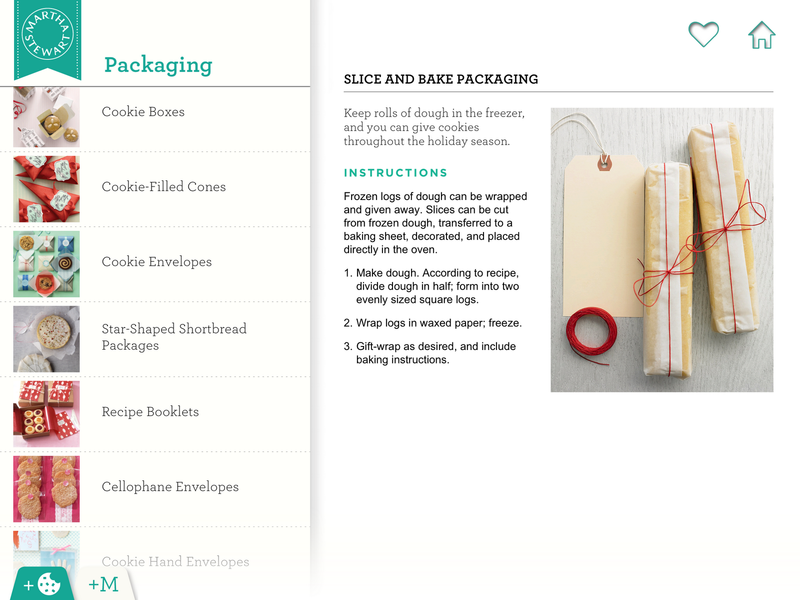 There is a section dedicated to homemade packaging if you wanted to give your baked goodies away as gifts. There is also a library of videos available in the drop down menu to help you master new techniques to perfect your sweet creations. 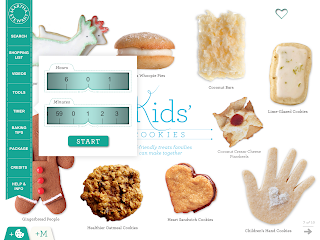 Your app also has a very handy kitchen timer! Thanks Martha!! 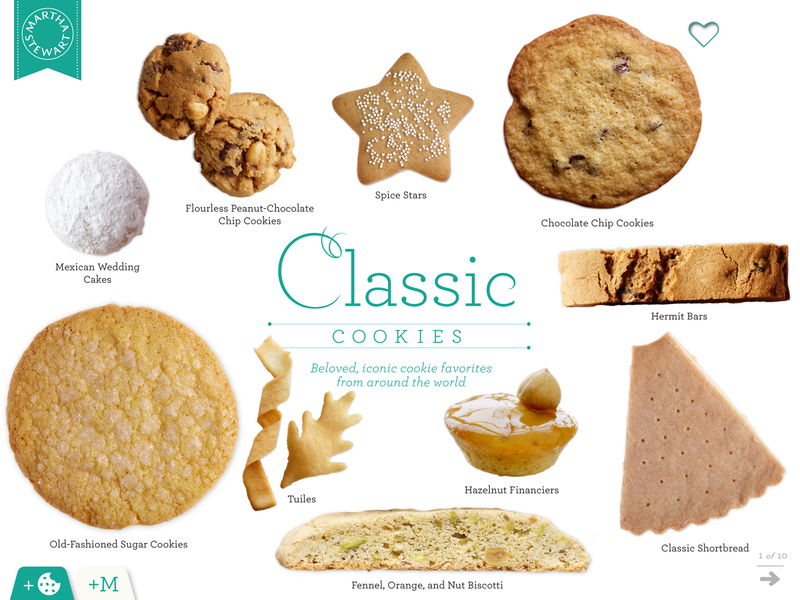 And last, but certainly not least, you can download and purchase more recipes via the cookie tab at the bottom left hand side of the screen. Recipes are divided into categories; chocolate, kids and the newest edition: holiday! 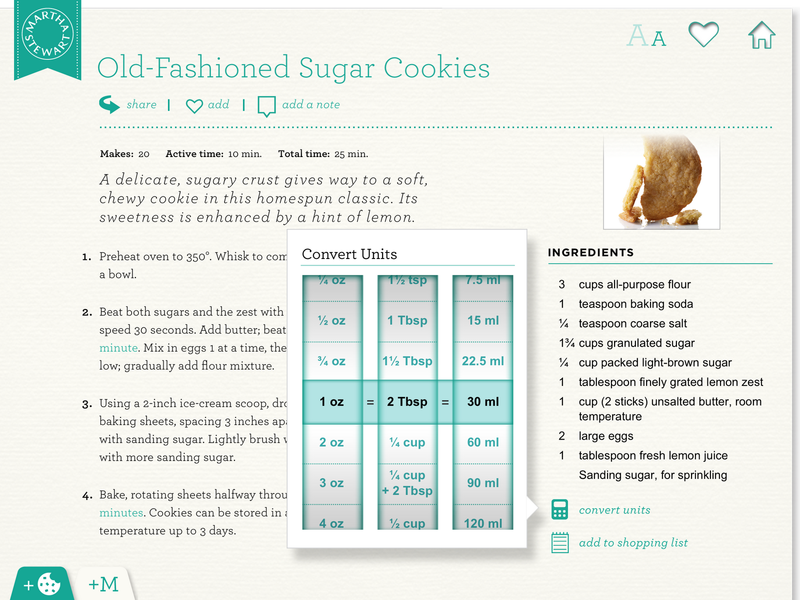 The 'M' tab links you to other Martha Stewart apps and allows you to gift the Cookies app to your friends. 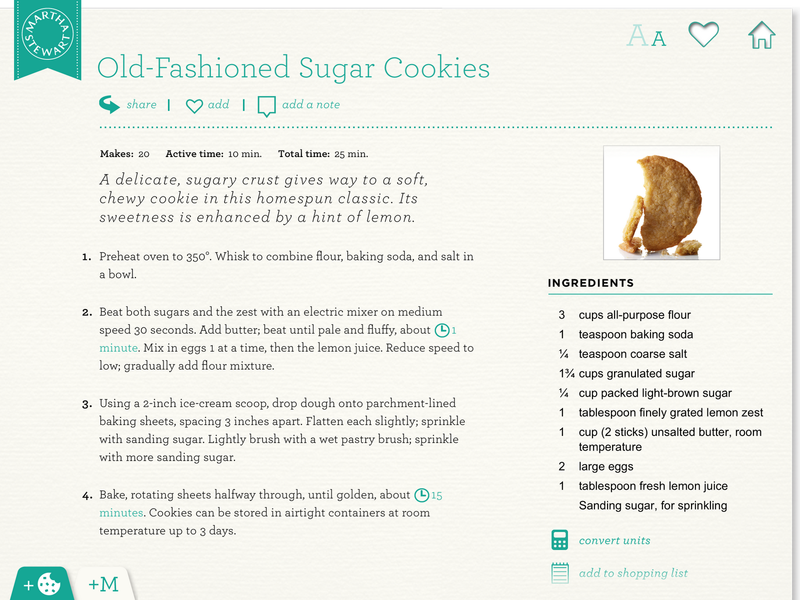 Well, that is the Martha Stewart Cookies app in a nutshell. Available in the iTunes app store for an absolute steal at £2.99!